This week we chat with Marsha Barnes founder of the Finance Bar, who is probably one of the most creative people I know in the personal finance space. 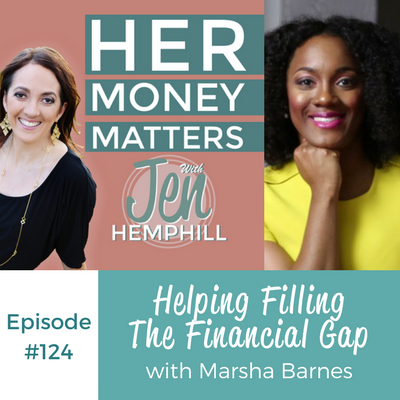 We discuss how she is filling the financial gap she has witnessed over the years. Growing up, Marsha lived a nice life and rarely saw any moments of financial struggle in her family. They lived a comfortable life and were happy with what they had. Her mom clipped coupons and still does to this day. Marsha’s parents set a great example when it came to finances. As a result, Marsha learned early on that you can live a good, decent life, and do well financially and manage your money well. Marsha has memories of vacationing and going to an amusement park and then eating a packed lunch in the parking lot – it was just what they did. “What we have is enough”. Before the Finance bar, Marsha operated a financial non-profit called Financial Empowerment Charlotte. She was in the business of promoting financial wellness and empowerment and speaking with people about the importance of it. Then, both her mom and stepdad were laid off within 1 year of each other, and her best friend was also laid-off. Marsha realized that people needed help preparing for such possible events. At that time, food trucks became huge. Marsha had the idea that she would create financial education on wheels. Nevertheless, Marsha became obsessed with purchasing a bus. She eventually found one, and her husband agreed to purchase it as long as the bus was parked for a future project. But as soon as Marsha got the bus, she wanted to do make her vision a reality and did everything to it. And so it became the finance Bar. Not knowing how much money they need every month to live. Marsha is very good at managing money. Every Saturday morning, she gets out her money statements and keeps on top of things. Once a month she meets with her husband, but the rest of the time, she is on her own. Marsha is very old school when it comes to her tools for finances – pencil, paper and calculator for household finances, and spreadsheets for the business finances. Best money Marsha ever spent. This week the shout out is for Laurie. Laurie just recently discovered us from another podcast and didn’t hesitate to jump on in and get involved in our community. We recently had this 2 lies and 1 truth challenge and she had us stumped with hers.